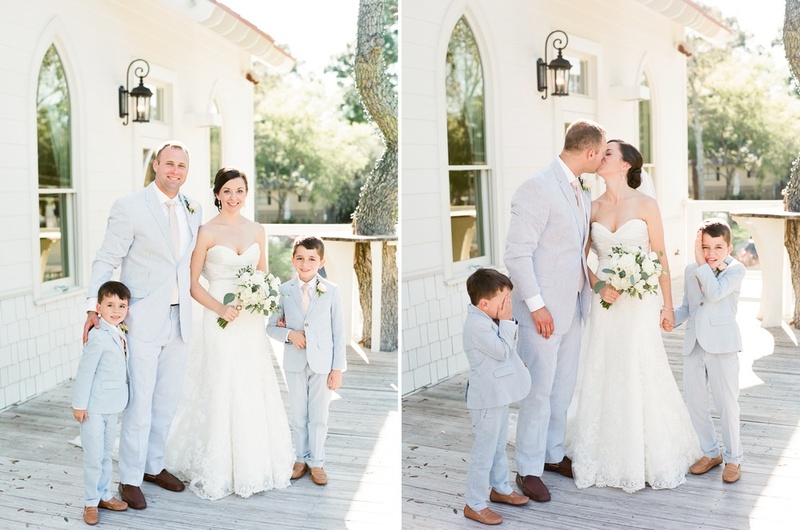 Jennifer wanted a true Southern wedding day at the Tybee Island Wedding Chapel. And I think we all know that seersucker is pretty much the best way to accomplish that! Handsome groomsmen wore soft blue seersucker and blush ties. Finished off with a classic leather shoe, these guys were dressed to impress. The bridesmaids wore blush dresses and loose locks keeping their wedding day look simple, fresh and classic. Our favorite part of the wedding day was watching Martin tie little Alex and Jaxson’s ties. This was a big day for Martin. These kids have been a part of his life for so long now and today he was marrying their mom. Being able to watch this special moment between Martin and these little guys will be something that we never ever forget. 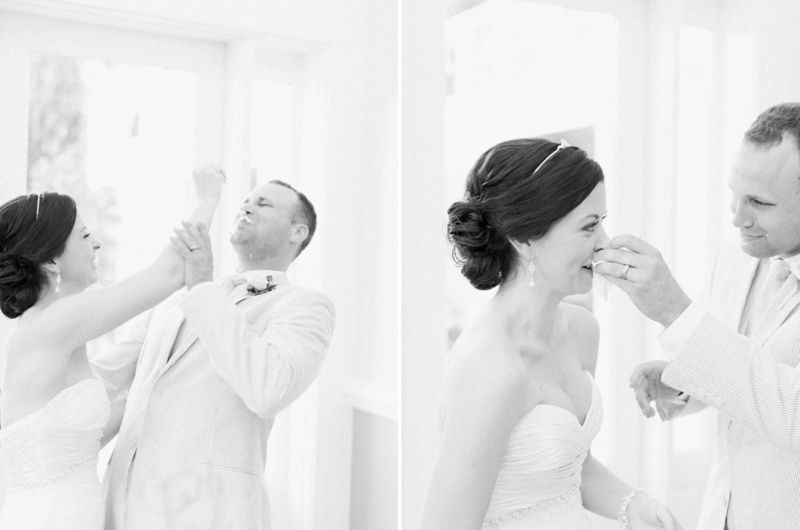 See more of this wedding featured over on Southerly Grace Magazine!